Childhood heroes come in various shapes and guises. 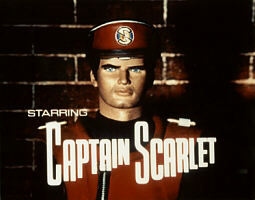 For a generation of children of the 60s chances are it’s the indestructible defeater of the Mysterons, one Captain Scarlet. Like many boys of my age I loved all those puppet series: Fireball XL5, Stingray, Thunderbirds, Captain Scarlet and Joe 90. Though filmed in glorious ‘Supermarionation’ we saw them in good old black and white. I remember every Friday walking round to the newsagents in Brough with my Dad - he was going for that night’s copy of the Hull Daily Mail - to pick up the latest issue of the TV21 comic. I’d pour over those blowout diagrams of the gadgets and vehicles. Shame I didn’t keep them, they’d be worth a fortune on eBay. Anderson’s series led to the creation of a whole set of Corgi toys. I had the blue Spectrum Pursuit Vehicle (inexplicably the driver sat facing backwards and drove with the aid of a monitor).But mostly I yearned to have Joe 90s attache case, I never did get it. As a tribute to Gerry Anderson, who died earlier this week I’ve dug out this edition of the Radio 4 arts programme Kaleidoscope from 1987. Broadcast at the time of Anderson working on a new project, Space Police, its presented by Christopher Cook. 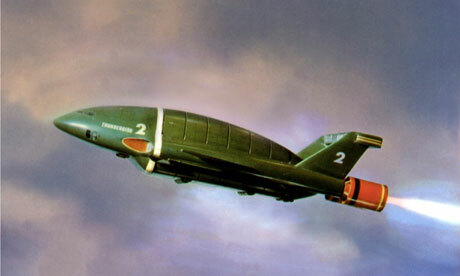 You’ll hear not only Gerry Anderson himself but also Lew Grade, special effects supremo Derek Meddings, puppeteer Christine Glanville and actors Francis Matthews, Ed Bishop and David Graham. Kaleidoscope: FAB was broadcast on Wednesday 23 December 1987. It’s Christmas Day! My final advent radio offering is Classic FM’s take on the Medieval mystery plays. The Christmas Mysteries imagines how they might have been performed by the craft guild in 15th century Yorkshire. The play is written by David Spicer and stars Jack Shepherd, Mark Benton, Jasper Britton, Catherine Cusack and Simon Greenall. It was directed by Frank Stirling for Unique Productions. That’s all from Random Radio Jottings for 2012. A Happy Christmas to those of you who follow the blog. I’m back in 2013 starting with a tribute to Sports Report. 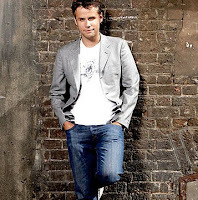 Reviewing the major events of 2011 are Richard Bacon with Clive Anderson, Jon Holmes and Katie Hopkins. 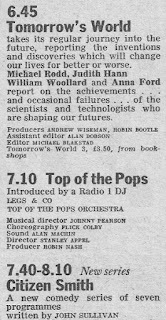 The show may have been the Radio Times pick of the day the year before but Richard hasn’t got the gig at all this year: the Review of the Year on 27 December is with Tony Livesey and Stephen Nolan. Warning: this recording contains Jimmy Savile! Tomorrow a Classic FM Christmas Mystery. Holding court everyday on Talksport are Richard Keys and Andy Gray, who moved to the station from Sky Sports in February 2011. A year ago today there was no Andy, who had “business elsewhere ” so joining Richard is Brian Moore. The guest is former Coventry City and Liverpool player Gary Gillespie. Tomorrow the news events of 2011 as heard on Radio 5 Live. There’s a major shake-up of BBC Local Radio just around the corner in January but the keystone of all the stations, remaining unchanged, are their Breakfast Show programmes. Every morning in Shropshire it’s in the hands of Eric Smith and Clare Ashford. Eric is another name I know from Radio Humberside, and you’ll have also heard him on Radio Sheffield and Radio Aire. A delightful mix of self-effacing humour, music and a paean to the joys of radio John Osborne’s John Peel’s Shed had been touring the country when it was recorded for this Radio 4 broadcast. 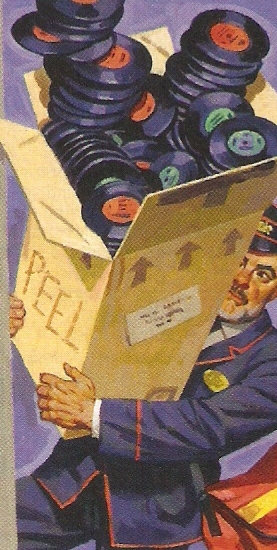 The spark for the show was an eclectic box of records that John won in a Peel slogan competition: “records you want to hear, played by a man who wants to hear them”. Tomorrow we pay a visit to Radio Shropshire. Memories from 70 years ago: Petula Clark’s radio debut, Wilfred Pickles singing the Internationale, Dimbleby over Berlin, Ack Ack Beer Beer, Victor Sylvester’s Dance Club and Churchill announcing the end of the beginning. Christmas 42 was a BBC Radio 4 programme presented by Christopher Andrew was first broadcast on Saturday 25 December 1982. A real end of term feeling to this award-winning show as Ditchy & Salty prepare to leave Real Radio in the North West – a decision that angered many listeners. In the studio alongside David Ditchfield and Paul Salt is Debbie Ousbey (who continued at Real for a couple of months or so before she was also dropped). Playing in their ‘best bits’ with clips of Peter Kay and Anne Kirkbride. Time for some jazz. As Sarah Ward says here’s music in a “cool and mellow” mood. So unwind with this recording of part of Dinner Jazz from 19 December 2011. 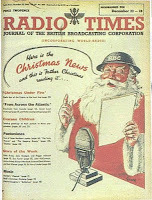 In 2011 there was a Christmas Day chart so strictly the Christmas No 1 wasn’t announced, on the radio at least, until just before 7 pm on the big day. The question was whether the X Factor winner was going to make No. 1, or would there be a concerted attempt to back an outsider. In fact the number one hit announced on the 18th differed depending on your source. The Official Chart with Reggie Yates on Radio 1 did indeed see Little Mix make the top spot. Over on commercial radio the Vodafone Big Top 40 with Rich Clarke and Kat Shoob had the Military Wives Choir. In the event it was the Choir that made the official Christmas number one. Had the X Factor winning song been released a week too early? As you’ll hear the X Factor acts (Rebecca Ferguson, One Direction, The Finalists, Leona Lewis and Olly Murs) and some old seasonal favourites made up the bulk of the chart. With Mike Harding leaving Radio 2’s folk show this month I’m posting this brief history of folk programming on the network. Admittedly Mike has not chosen to leave but with the changing of the guard after nearly 15 years I recall the names of Wally Whyton, Tony Capstick and Jim Lloyd. When Radio 2 started in September 1967 the folk show, broadcast on that opening Saturday, was billed as a Radio 1 production, but simulcast on Radio 2. In fact it was not purely folk, but an hour-long mix of country and folk under the title that made this abundantly clear: Country Meets Folk. Hosting proceedings was Wally Whyton. At the time Wally was already known as a skiffle player and folk singer and to a generation of children, myself included, as appearing with the puppets Olly Beak and Fred Barker on ITV’s The Five o’Clock Club. He’d already broadcast on the Light Programme in Skiffle Club, Folk Room and It’s One o’Clock. Country Meets Folk was an old Light Programme show, first aired in July 1967 in the dying days of the old network. It was a replacement for the half hour A Cellar Full of Folk, both programmes being produced by Ian Grant. 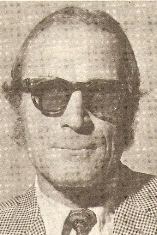 Alongside Wally was Jim Lloyd (more formally billed in the Light Programme shows as James Lloyd) who was tasked with presenting the folk and country news and then later also looking after the new record release reviews. 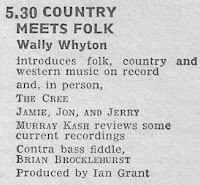 In the rather confusing way that programmes were scheduled back then by early 1969 Country Meets Folk had moved to an earlier slot on Saturday afternoon on Radio 1 only, but months later shifted across to become a Radio 2 show, this time simulcast on Radio 1. The other occasional hosts were Malcolm Price and Johnny Silvo. Throughout most of 1968 and 1969 Wednesday evenings, again on Radio 1, was home to a series of specially recorded folk sessions called My Kind of Folk. 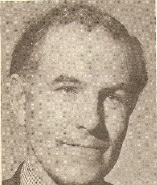 Most of this series was produced by Frances Line – later to become Mrs Jim Lloyd and in the 1990s Controller of Radio 2. Of course other shows featured folk music, especially with the rise of progressive folk at the end of the 60s. On Radio 1 John Peel, David Symonds and Night Ride all played folk sessions. 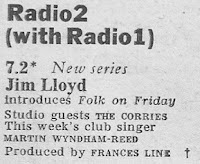 Whilst continuing to contribute to Country Meets Folk, Jim Lloyd was to get his first solo folk series, Folk on Friday, starting on Radio 2 on 10 April 1970. This was also produced by France Line. 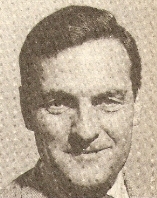 Jim had started as an actor in repertory before joining Tyne-Tees in 1959 as a continuity announcer, moving to ATV two years later. There was a spell introducing Midlands Today on BBC1 before contributing to radio shows such as Today, Roundabout and Woman’s Hour. 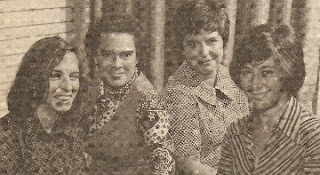 A chance meeting in 1964 with The Spinners sparked his interest in folk music. 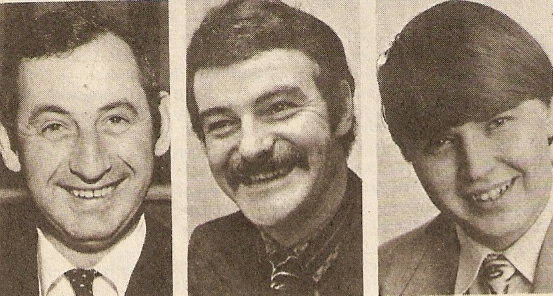 Folk on Friday ended in September 1971 when a schedule re-shuffle introduced the daily magazine show After Seven. Its replacement was Folk on 2, again with Jim at the helm and now going out late on a Sunday night. 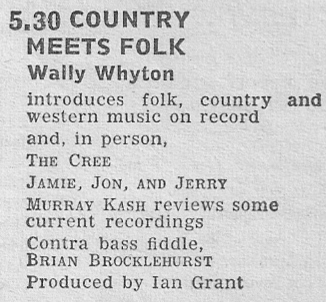 Meanwhile Country Meets Folk itself lasted another year, finally closing its doors in September 1972. Wally would return to Radio 2 the following year with Country Club – but that’s another story, and another blog post. 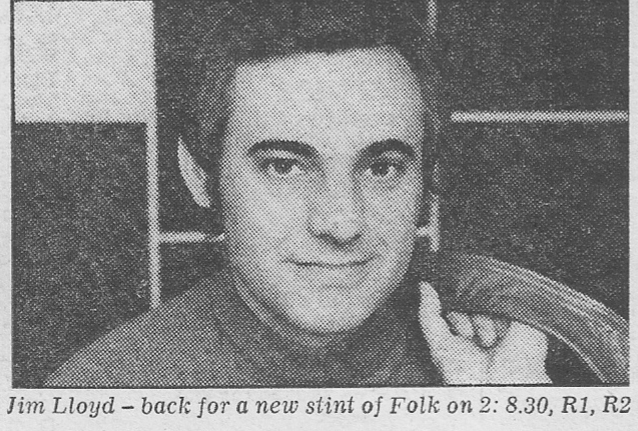 Folk on 2 continued as the sole folk show from October 1972 by which time it had shifted to a midweek position. 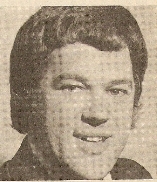 But it was joined by an accompanying programme Folk 73 from 4 July 1973, the presenter this time being one Simon Bates. Each week this show presented a different folk artist or group in a 30-minute session and so it fell to the continuity announcing staff, of which Simon was one, to do the honours. Folk 73 became, not unnaturally, Folk 74 with Len Jackson and then Jack McLaughlin. Folk 75 again had Jack as the announcer. For a few weeks on 1976 we also had Folk 76, this time with Michael Meech. 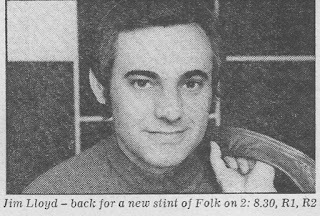 I am, however, leaping ahead with the timeline, as back on 8 July 1973 Folk on 2 was replaced by Folkweave, best known, of course, for being presented by Tony Capstick. Tony had been on the club circuit since the early 60s but got his break into broadcasting thanks to Radio Sheffield, where his popular, if quirky style ensured a 30 years career with the station. Regrettably ill health due to heavy drinking led to his dismissal in early 2003 and his death a few months later. Folkweave was to be a Radio 2 fixture until 17 January 1980. 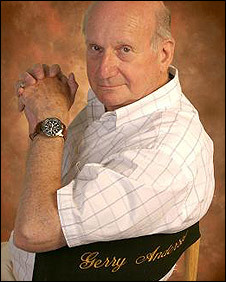 The series was produced in Manchester by Peter Pilbeam. In fact show one in 1973 was presented by Harry Boardman and Harry along with Martin Winsor filled-in for Tony when he was unavailable. This is a clip of Tony in 1978. I can’t take credit for this recording which I’ve edited down from the show that I found on the web; at the time of writing the whole show, plus several others, are available to download. 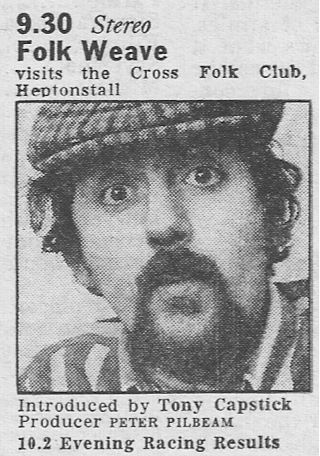 Here’s Tony with his final Folkweave on 17 January 1980. 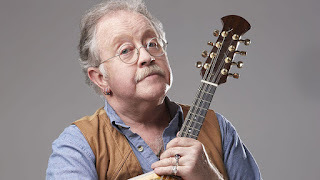 Three years after Folkweave started there was another new show, Both Sides Now, again a fusion of country and folk, again presented by Wally Whyton with Jim Lloyd doing the news and reviews. Starting in early 1976 on a Thursday night it moved to a Saturday, after Sport on 2, from that October until the end of its run in December 1977. 1978 saw the revival of the session shows with Folk 78 from 3 January, this time with announcer and part-time folk singer Ruth Cubbin. 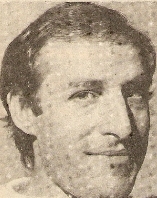 Later that year Johnny Silvo took over, continuing with Folk 79. Folk 80, running from January to March, was introduced by Isla St Clair. 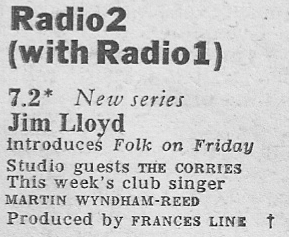 Folk on 2 with Jim Lloyd returned to the airwaves on 31 March 1980, and remained part of the schedules until 1997. Here’s Jim introducing that first show that would feature The McCalmans, Seamus Gavin, Cyril Tawney and folk news with Colin Irwin. 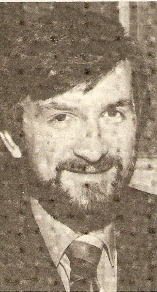 After 30 years of presenting folk music Jim Lloyd retired in 1997. His place in early 1998 was taken by Ralph McTell, who’d’ sat in for Jim the previous summer. This is part of Jim’s last show on 17 December 1997, with apologies for some of the reception interference part-way through. And so we come to the present but departing incumbent, Mike Harding. Mike first show was broadcast on 22 April 1998 and would soon be billed as “the best in folk, roots and acoustic based music”. During his tenure a new generation of folk performers have ensured yet another revival of folk music and from 2000 Radio 2 initiated the annual Folk Awards. In October it was announced that Mark Radcliffe would front the weekly folk show from next January. Mike’s last programme is on Boxing Day. The notion of getting the nation’s funny men to play DJ probably started in the 1980s with Lenny Henry. 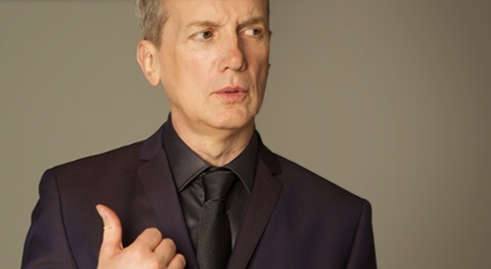 A year ago Absolute Radio offered us shows with Frank Skinner and Dave Gorman, who left the station just last month. Today’s advent calendar radio offering is part of Frank’s show from 17 December 2011. With him in the studio are Alun Cochrane and Emily Dean. Tomorrow it’s the Sunday chart shows. 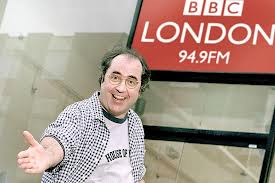 One of the radio moments of 2012 must be Danny Baker’s on-air two-hour (“pinhead weasels”) rant. On 16 December 2011 however it was business as usual on Danny’s BBC London 94.9 afternoon show. As you’d expect there’s an eclectic mix of talking points and music. With Danny is Baylen Leonard. There’s a unwritten rule that all commercial radio breakfast shows must be (a) constantly plugged all day and (b) hosted by a couple of DJs, ideally one male, one female. Presumably the expected on-air chemistry will produce great results. 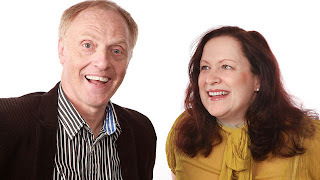 This time last year Viking FM Breakfast host Paul Foster had left the station in November and filling in at short notice was Drivetime DJ Ant Nichols alongside Rosie Madison. 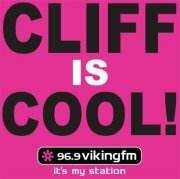 For December the station was running a ‘Cliff is Cool’ campaign. Probably started in response to the launch of Absolute 60s in November that had declared itself a Cliff-free zone, despite his musical contribution in that decade. For Viking though it was all in the name of the Cash4Kids charity. 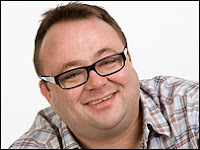 Waking up listeners in South Yorkshire is Radio Sheffield’s Toby Foster. A year ago today he was encouraging folk to phone-in with their Desert Island Discs – the Radio 4 programme was celebrating its 70th anniversary. Apologies for a few pops and clicks on this recording. Tomorrow we stay in Yorkshire and head over to Hull. This time last year the bad weather was dominating the news. 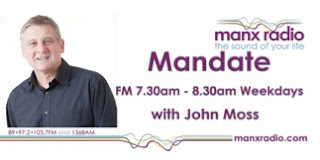 Those storms were battering the Isle of Man and so news of the Steam Packet sailings features in this recording of the daily morning news programme on Manx Radio, Mandate AM hosted by John Moss. The notion of sending Simon Bates into a war zone is not a new one. Back in his Radio 1 days Simes went off to the Gulf War. So it is perhaps surprising, and quite heartening, for Smooth Radio to spend the time and resources on a week of programmes from Camp Bastion in Afghanistan. It makes fascinating listening. Four months later it was Bates in the Falklands. Meanwhile this week on Radio 1 Greg James’s show is broadcast live from Afghanistan. Tomorrow across the Irish Sea to the Isle of Man. This is perhaps untypical of Johnnie’s usual Sounds of the 70s shows on BBC Radio 2. No musical guest. Instead, in this programme from 11 December last year, we get Sir Roger Moore, so the link with all things 70s remains a little tenuous. Tomorrow a trip to Afghanistan. Michael Bublé was all over the radio and TV schedules last year – mind you he did have a Christmas album to promote. In fact he’s back this year too – already appearing on Heart and with a series of seasonal shows on both Magic and Smooth this month. In these recordings you’ll hear Michael chatting to Dermot O’Leary on his Saturday afternoon Radio 2 show and also doing a spot of DJ’ing – voicetracked one assumes - on Magic 105.4. It seems we simply can’t get enough of the Bublé. It was only in retrospect that I realised that the geographic spread of stations I’ve chosen for this series of advent posts is concentrated in the North, can you tell I come from Hull? 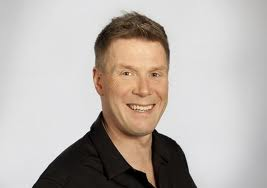 There’s a Hull connection here as I remember Simon Logan from his Viking days but now on daily at BBC Newcastle. We get the good old radio standby of The Golden Hour, in this case two mystery years under the title ‘Time of Our Lives’. There’s the first of many appearances in these recordings of the eventual winners of The X Factor, Little Mix. You have been warned. Jamie Theakston’s usual partner on Heart Breakfast in London was Harriet Scott (who’s just left the show after seven years) but this time last year Emma Bunton was sitting in – we even get a Spice Girls track. At 32 minutes in see how many of the tasks you still do that have now been replaced by new technology. 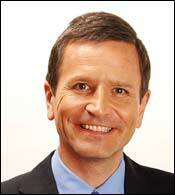 Peter Levy is your multimedia man. Viewers of Look North in Yorkshire and Lincolnshire can see Peter grilling local politicians and needling weatherman Paul Hudson each weekday evening. Meanwhile at lunchtime on BBC Radio Humberside (as well as BBC Radio Lincolnshire) Peter’s doing what local radio does best, covering local issues or providing a local slant on national stories. So in this programme we get wind turbines in Swanland, working half-pay to help your employer, Sue Holderness in panto at Grimsby and why staff who work in HR are more likely to get off with someone else at the Christmas party. Amazingly Ken has occupied Radio 2’s mid-morning slot for twenty years; it’s a broadcasting institution. In this recording you’ll hear all the usual features: The Love Song, Pop Master, Tracks of My Years (Ralph McTell) and the banter with travel reporter Lynn Bowles. This show also includes a magical live performance from Carole King. In the days of my daily commute into York I always had Galaxy as one of the presets. If I wasn’t tuning in to Moyles or Wogan it was Hirsty. Simon Hirst, Danny Oakes and Jojo Kelly have been a fixture on Galaxy/Capital for nearly a decade so a chat, a laugh and a bit of bickering amongst mates is the order of the day. When Moyles left Radio 1 breakfast in September Hirsty was told to expect more listeners, his typically self-deprecating response on Twitter was that you’ll need to “lower your expectations” if you do listen. In today’s advent radio countdown it’s the Sunday show from 4 December 2011 with Mark Punter’s Gravy Train. This segment is billed as The Big Quiz of the Week as listeners phone-in to win … the Mark Punter Prize Pen! Well were are talking BBC local radio budgets! I’m a regular listener to this show as Mark and I both have an appreciation for the late great broadcaster Ray Moore. This time last year the BBC local radio stream was suffering from ‘pops and clicks’ that had started about December and wasn’t fixed until around Easter time. So apologies in advance for quality of this recording. A trip to Scotland for today’s advent offering. 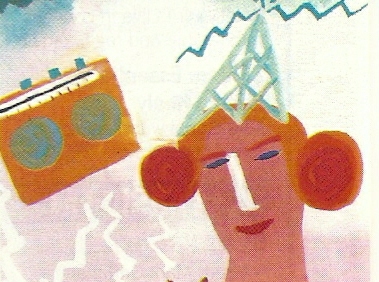 Although recorded on Clyde 1, Boogie and Dingo were networked across Bauer’s Scottish FM stations. In this clip Boogie (Andrew Bouglas) and Dingo (David Konoc) are keen to out any males that resort to tanning. There can’t be many DJs (any DJs?) who broadcast on five different radio stations each week. You can hear Tony Blackburn on Radio 2, London 94.9, Magic, Radio Berkshire and KMFM. A year ago, before he got the Magic and Berkshire gigs, Tony was on each Friday morning on Hull’s KCFM. Here he is doing his stuff on 2 December 2011. 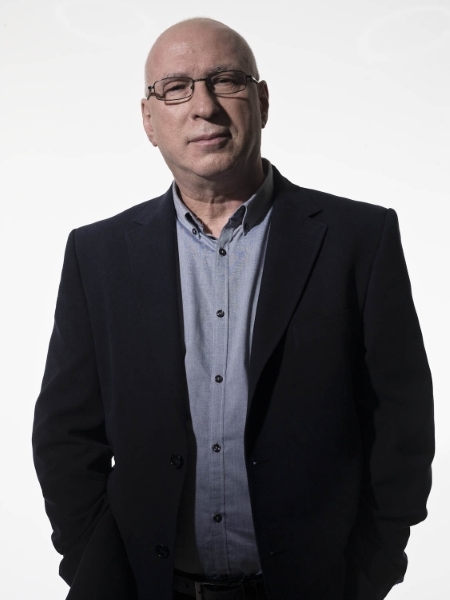 Tony was dropped from the KCFM schedules in early 2012 when the P&O sponsorship was withdrawn. Little did we know at the time but this was to be the last Christmas for Chris and the team. But here we are with the first of a series of posts of radio shows from this day one year ago, my radio advent calendar. 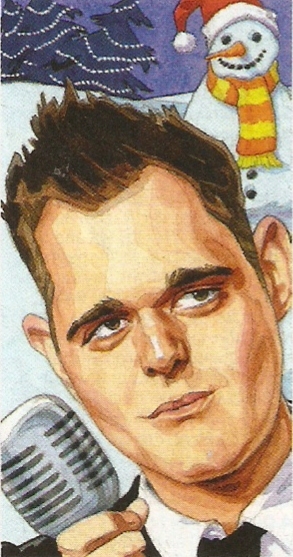 Today it’s a scoped version of the Chris Moyles Breakfast Show from 1 December 2011. You can have a good old sing-sing, not only with the Cheesy Song but the first festive outing for Dominik the Donkey. The programme started a campaign to get Dominik to the top of the Christmas charts. In the event it peaked at number three. Tomorrow it’s a show on KCFM. The juxtaposition of punk and disco makes fascinating viewing for those of us watching the 1977 Top of the Pops repeats (Thursday nights BBC Four). It remains uncertain whether 1978 re-broadcasts will go ahead, sans Savile-fronted editions, next year. Here’s hoping they do. 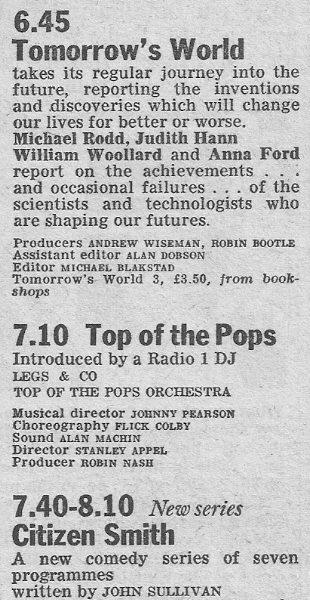 Anyhow, before we leave 1977 here’s a chance to hear Alan Freeman counting down the hits from July of that year in a Pick of the Pops show on Radio 1 in 1991. Music from Barbra Streisand, Carole Bayer Sager, The Stranglers, Kenny Rogers, ONJ, Boney M, Gladys Knight & the Pips, ELP, The Jacksons and Hot Chocolate. Right is the Radio Times billing for the edition shown last week. The unnamed “Radio 1 DJ” turned out to be Peter Powell’s first show. The piazza outside the New Broadcasting House has been pressed into service quite a bit of late; mainly news crews filming BBC management and talking to other journalists. It’s the new extension of the existing Broadcasting House, the art deco edifice that was completed in 1932. Variously described at the time as a ‘petrified dreadnought’, ‘a profane cathedral’, this ‘temple of the arts and muses’ was celebrating its 50th anniversary when this programme, The Second Tower of Babel, was broadcast. The Second Tower of Babel was broadcast on BBC Radio 4 on Sunday 19 December 1982. The producer is Dilly Barlow. Hear more about the early days of BH on The BBC and all That this afternoon (and next week) on BBC Radio 4. The place: Marconi House, London. The date: Tuesday 14 November 1922. The occasion: the first ever broadcast by the newly-formed British Broadcasting Company. Behind the microphone Arthur Burrows, the BBC’s Programme Director. At 6 p.m. he read the first news bulletin – twice – once at normal speed and then again more slowly. Items were punctuated with a chiming clock, actually Burrows at the tubular bells. This week the BBC has a number of on-air celebrations to mark the 90 years since that inaugural broadcast. Here’s my own contribution to the event, 90 years of radio in 90 minutes, or thereabouts. It’s in rough chronological order but I sometimes dart around the years to make up some of the individual sequences. There was plenty I wanted to include but either didn’t have the recordings or they just didn’t fit. There’s plenty missing too, nothing to represent Scotland, Northern Ireland or Wales for instance. It reflects my own radio interests and, of course, my own recordings over the years. 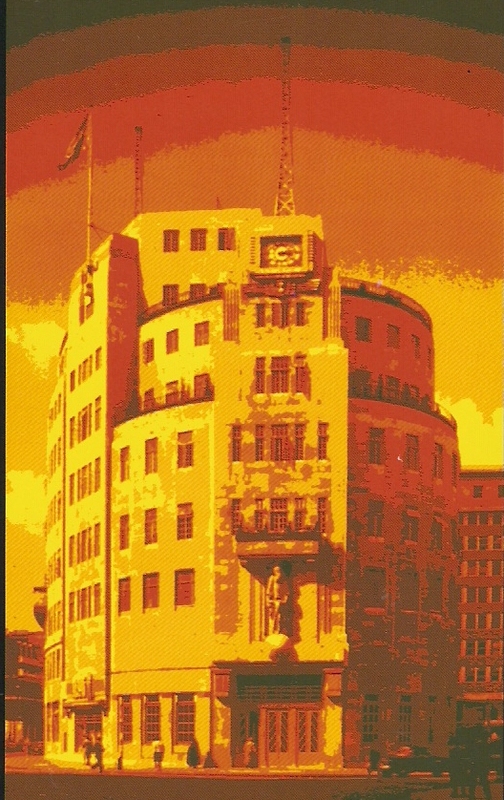 Some material is sourced from the CD 75 Years of the BBC and the LP 50 Years of Broadcasting kindly digitised by Andy Howells. Thanks also to David Lloyd for a couple of items from his Radio Moments collection. Well how did you do? Last month I posted The Radio Game, a Radio 4 quiz about broadcasting history that was part of the BBC’s 60th anniversary celebrations. I’d like to say I was inundated with emails in response to the quiz but that would be stretching a point! Anyway here’s Barry Took with TheRadio Game – All the Answers, a programme that was broadcast on Sunday 7 November 1982. When first researching this post I attempted the quiz back in September 2011 and scored 43 out of 60. If Radio 1 wanted comedy that was edgy and subversive, they got it with Chris Morris. Though best known for his TV series The Day Today (“slamming the wasps from the pure apple of truth”) and, most controversially, Brass Eye (“one young kiddie on Cake cried all the water out of his body”) Morris enjoyed a brief, but equally controversial, spell on the nation’s favourite during the 1990s. 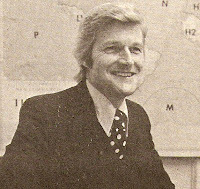 Chris Morris was a radio obsessive and first got into broadcasting whilst still at university as the student reporter on Radio West. After graduating he joined the trainee scheme at BBC Radio Cambridgeshire, learning the ropes of production and presentation. It was back to Bristol, on the BBC local station, with a show called No Known Cure that he developed his style of broadcasting that was put into effect at GLR and on national radio: the cutting up of news headlines and vox pops, bizarre phone calls, made-up names, portentous voiceovers and so on. 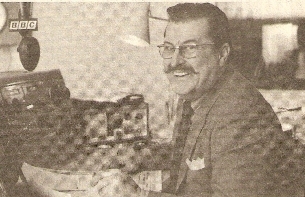 At the same time as his Radio Bristol programmes, Morris ended up on the revamped Greater London Radio. One of his comic creations on this show was the inept spoof DJ Wayne Carr (pictured above) – sounding not a million miles away from Mike Smash or Dave Doubledecks. The first appearance on Radio 1 was tucked away, out of harm’s way, in the middle of the afternoon on Christmas Day 1990, at a time when most of the nation is slumped in front of the telly. The show was not without controversy when Morris suggested that the Pet Shop Boys next collaboration should be with Myra Hindley. It was more than three years before he returned to the station. Meanwhile, working with Armando Iannucci, he went onto launch Radio 4’s On the Hour, the big break that led to the TV work. 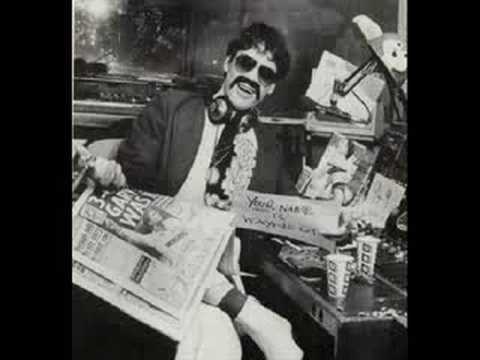 Morris continued with occasional shows on GLR but made it back to Radio 1 in 1994 with The Chris Morris Music Show – the emphasis was as much on the music as it was the comedy. This series notoriously got Morris and Radio 1 into trouble, especially the infamous ‘obituaries’ for Michael Heseltine and, prophetically, Jimmy Savile. Morris was back at Radio 1 between 1997 and 1999 with the post-midnight black comedy series Blue Jam. A couple of appearances in 2000 on Mary Anne Hobbs’s The Breezeblock was his last radio work. You can read more about Chris Morris and download many of his radio shows on the @cookdandbombd website. In the meantime, back to that first show on Radio 1. Apparently the BBC don’t have a copy of the two-hour show and I can’t find one online. I’d like to say I’ve uncovered a copy but unfortunately all I have is the first twenty minutes. So here is part of The Chris Morris Christmas Show first heard on 25 December 1990. “This is London” they would intone, then it was a quick blast of Lillibullero, the pips and into the World News. But what of the faces behind the voices of those BBC World Service announcers? Well every now and again the London Calling magazine used to publish their mug shots, in fact it was almost an annual event. For this post I’m recalling the names from 1975 when we got a potted biography for most members of the team. All you’ll see they range from the very detailed (Pam Creighton) to the lightweight (Peter King). I’m presenting them as written with no indication as to what has happened to these ladies and gentlemen since. Born in London and educated in Colchester, he worked briefly for a merchant bank before joining the BBC as a finance assistant in 1964. He became a studio manager, and then switched to announcing. His interests include music, reading and archaeology. He also likes walking, particularly when he can look at a village church and a country pub along the way. In London he spends much of his time visiting galleries and museum, and he collects furniture, china, glass and books. After Cambridge (where he was a choral scholar) and war service in the Army (which took him to the Far East) he joined the BBC as an announcer in 1949 and has had a spell in Nigeria coaching newsreaders and teaching English. This year, incidentally, he plans to holiday in Nigeria resuming contact with many old friends. His family and his garden keep him busy, he says, but he finds time to play the tuba in a brass band on Sundays and sings in a choir occasionally. His hobby is collecting old photographs. Born in Claygate, Surrey, his father was a dentist. Ashley was commissioned in the Royal Signals, serving in Greece and the Middle East. After demobilisation tried several jobs including stock controller for a large chain of stores and a spell with British Rail. Joined the BBC on the engineering side in 1956, worked in control room and on transmitters, then became a studio manager and finally an announcer in 1969. Twice wed, he has a grown-up son by his first marriage and now a young family-a 6-year old boy and twin boys of 4 years. His wife is a teacher. Likes putting on amateur plays, writing children’s stories, walking, sailing and sketching. Born in Ramsgate, Kent, he has spent all his working life in the BBC External Services, entering as a very junior transmitter engineer in 1942. After 10 years in studio operations, he took up announcing. 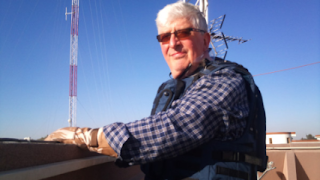 He became Chief Assistant (Presentation) in 1973, is in charge of newsreading and announcing in the World Service and is responsible for all presentation matters in London and in relay bases overseas. His great interests are his family, European church architecture, Hollywood musicals, Mozart, Billie Holliday, and cooking for his friends. Born in London in 1937, and educated at Alleyn’s School, Dulwich. After National Service, he joined the BBC as a studio manager. His interests include music, reading theatre, and food and drink. He lives in a book-lined flat near Battersea Park and pays frequent visits to plays, ballet, recitals and the local pub. Says he makes futile attempts to keep fit by unconvincing appearances on the tennis court. Born in 1924 in New York of Scots father, American mother. Lived in New York and Paris until he was 15. Says he feels politically neutral in Britain but is a fervent Democrat-by-adoption in the United States: his grandmother and Franklin Roosevelt’s mother were sisters. Ian went to Milton Academy, USA, and then to Harrow in England. 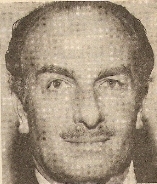 Spent nine years in the British army, including service in Burma, and worked for two years for ABC in Perth, Western Australia, before joining the BBC in 1952. Has written 12 books mostly under his full name of Ian Fellowes-Gordon. Born in 1943 in South London and now lives on the Essex coast. 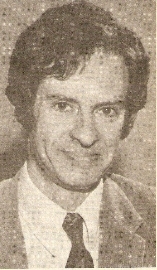 He joined the BBC in 1965 as a studio manager and has been announcing since 1967. He has been married for four years and says he supports as aging sports car, two demanding cats, and a healthy crop of weeds, sometimes described as a garden. Likes the guitar, both classical and folk/rock, and enjoys Baroque organ music. His other hobby is sailing and he is particularly interested in the history of working sail of the 19th and early 20th century in Britain and Northern Europe. He presents Strike Up the Band on World Service every week. Pippa Harben was born at Bath, educated in Bristol, and read history at Cambridge. She worked for a time as a trainee buyer at a big West End store in London and decided it was not the life for her. So she came to the BBC as a researcher and found it fascinating to find out the facts and figures of all kinds of situations for the News and other programmes. Then she moved to programme operations before finally to announcing. She reads a lot, loves films, makes beer and wine and says she really works to support two vast cats! Pam Creighton was born in New Delhi and lived all over India and Pakistan for 18 years except for five years at Cheltenham Ladies College. Her father worked for the North Western Railway and for the governments of India and Pakistan. Pam joined the BBC as a studio manager 20 years ago and started announcing in 1957. Now she lives in a large old house in Twickenham, a stone’s throw from the River Thames where she has designed her own furniture and fireplaces. She comes from a musical family, has studied the piano and ballet, and has a collection of over 1,000 LP records (personal favourites: Beethoven, Mahler, Shostakovich, Sibelius, Vaughan-Williams and Britten) and discs of Dixieland jazz and the big bands. She has extensive hi-fi equipment as her home, runs the local music club and presents a 20-minute programme on new classical releases each week in the World Service (New Records). She is an expert on gardening, travels widely, reads science fiction and loves cricket and rowing. And all that seems a very full life for anyone! Ann Every says she had a sheltered English boarding school education before becoming a speech therapist. Then she decided to see what other people did, and tried being an au pair in Scandinavia, a van driver in London and a scientific worker in a government office, before joining the BBC as a studio manager with the intention of staying one year. Sixteen years later she is still with the BBC and lives with her cat in a little Victorian terrace house in London near the River Thames. Her hobby is sculpture. Meryl O’Keefe was born in Nairobi, Kenya, and educated in South Africa where she began her radio career in the South African Broadcasting Corporation in Johannesburg and Cape Town (she was the first woman newsreader). She says she left to join the BBC in London to gain wider experience and she has certainly done that. She has worked in radio and television in Britain for 20 years… as a reported, presenter, disc jockey and newsreader. During her career she has been thrown from a bolting horse in Brighton’s traffic; washed ashore at Southsea in a Navy diver’s suit two sizes too big; strapped to a dock harbour; hauled to the top of a TV mast and photographed among the passing clouds. She considers travel a vital part of life and perhaps that is why she finds the international atmosphere of the World Service so enjoyable. She likes music, theatre, ski-ing and camping around Europe in an old motor caravan. Born on April the First, 1921, and says that things have never really improved! Grew up in the Isle of Thanet on the Kent coast and contends that at least this was lucky, for it gave him a love of fishing and cricket. It is a matter of great pride to him that his son, after coaching from Knott and Underwood, smashed the blade of his size three cricket bat with a gigantic hit before his 12th birthday had dawned. Unfortunately it was from his own father’s bowling. Peter says that he likes Peggy Lee, Count Basie and Ella Fitzgerald, the Restoration period, old books, furniture, pictures and silver. Dislikes waste, greenfly, and people who do stupid things because they have pieces of paper which say they should. Educated at Watford and London University, he gave up a short career in veterinary research to join the BBC engineering division in 1963. 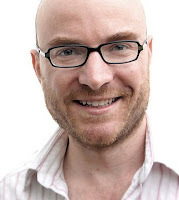 Five years later he left the BBC to work for a year on a schools radio programme for the4 Malawi government, returning to the BBC as a World Service announcer. Like to travel and says that he is rapidly developing talents as a gardener and general home handy-man to help eke out the household budget. Also enjoys the theatre and cinema, chess and oil painting. Born in Scotland but has lived in Rhodesia and South Africa. After Cambridge, became a captain in the Royal Engineers. Joined the BBC in 1947 and became entitle to an extended holiday in 1972. ‘Do something useful’ everyone told him. So he sailed the Atlantic in a small yacht. His next holiday is a week’s gliding. He is intensely proud of his family – his wife was formerly with the BBC – and lives in a Victorian house near the Royal Botanical gardens at Kew. Other interests are music, languages and mathematics. Born in Wellington, New Zealand (where his father still lives). Came to Britain in 1950 to study musical composition, and stayed. Drifted out of music and joined the BBC as an announcer in 1966; now lives in London with two daughters who share many of his interests. He is a Buddhist and is interested in oriental philosophy and religion. Says that he questions the principle of a consumer society, as accepted in the West and as spreading to the East, and describes his hobbies as music of all kinds… and silence. Born in 1936 and grew up in the south coast town of Bexhill-on-Sea. He went to the Royal Academy of Dramatic Art, had two years in the army, and then had his first professional engagement as an actor in his hometown. During the next seven years he appeared in theatre all over Britain, in addition to several radio and TV plays. In 1965 he presented three schools series for commercial TV, and since 1970 has worked for the BBC in TV, domestic radio and the World Service where, in addition to newsreading, he has contributed 20 talks to Letter from London. He lives in Wimbledon and enjoys driving, gardening and reading … he says he’d like to own a bookshop one day. Born in 1924 in Birmingham. Spent some time with an amateur acting company before joining the RAF. Served in India and became interested in broadcasting when he linked up with Radio SEAC in Colombo. 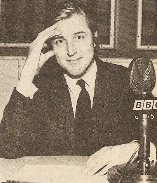 Returned to Birmingham to join the BBC and then to London as a newsreader for the World Service. Lives at Biggin Hill in Kent, a stone’s throw from the aerodrome, so it is not surprising to find that he is still very interested in aero affairs. He is married and has one daughter, a lawyer. He likes early Italian music. 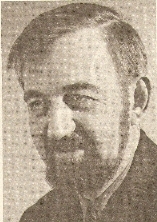 Born in Christchurch, New Zealand, in 1928, he read music and modern languages at University of New Zealand, supporting himself by periodic announcing in Wellington. 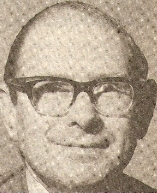 After graduating, he joined the New Zealand Broadcasting Corporation, and finally left for England in 1956 to continue with his studies of the organ. He had a short spell as a school teacher and then came an offer to join the BBC. Apart from playing the organ (and searching out interesting instruments in Britain and in Europe generally); he travels a great deal, particularly in France, and collects books. He is married to a New Zealander and they have a nine-year-old daughter. Lives with his singer wife, son, foster-daughter and cat in a house which needs a coat of paint, he says, and a garden which badly needs attention. He spends much of his time writing, translating, reviewing poetry or playing keyboard instruments for his wife. His favourite pastimes are entertaining friends and exploring the countryside on a cycle. He likes Indian food, Hungarian wine and Japanese crackers. Born in Berkshire in 1938, grew up in the English countryside, and went to Oxford University. Married with three children. Passionately interested in music, ranging from Palestrina to Duke Ellington, Charlie Parker and beyond. Likes reading, English literature and modern European history. 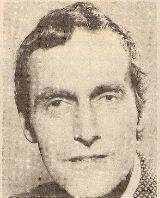 He was an announcer in the 1950s but had an ambition to become an actor and went to drama school. 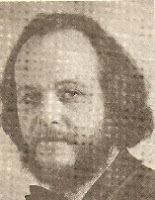 He had several years in repertory around Britain and was seen on television. The he became a TV announcer in Southampton before rejoining the BBC and producing plays and arts programmes for the African Service. After several years, which included two spells in East Africa, he returned to newsreading. Was born in Cardiff in 1928 and appeared as the boy hero in serial plays at the age of 14. 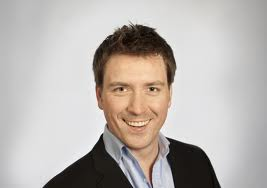 He has worked in Forces broadcasting and in BBC radio and television. Between his periods of duty at the World Service microphones, he retreats rapidly to his home in Hertfordshire where he relaxes with his rose garden, his antique furniture and a vast collection of records. In addition Peter Lewis, Tony Szeleynski and John Stone were pictured (below) but no information was provided. The above was all taken from the February, March and April editions of London Calling from 1975 very kindly loaned to me by Chrissy Brand.